This set of machine embroidery designs is part of our Floral Foliage and Seasons collections. It uses the Satin Stitch technique. The designs is available for the Commercial hoop (8" x 12"), Large hoop (5" x 7") and Mega hoop (6" x 10"). This is a stitch-out of one of the designs on a knitted and lightly felted jacket. 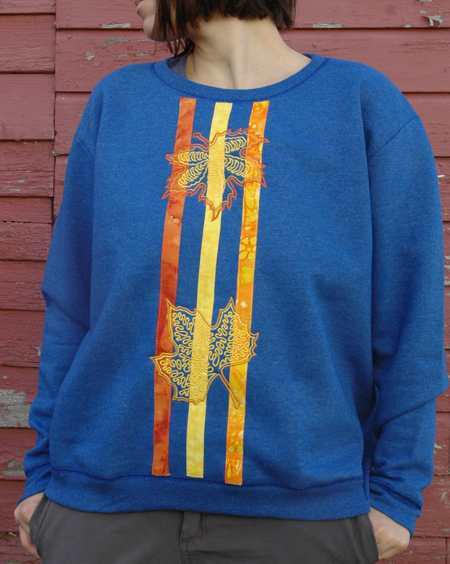 We also used the leaves to embellish a sweatshirt. You can read about this make-over on the project page. 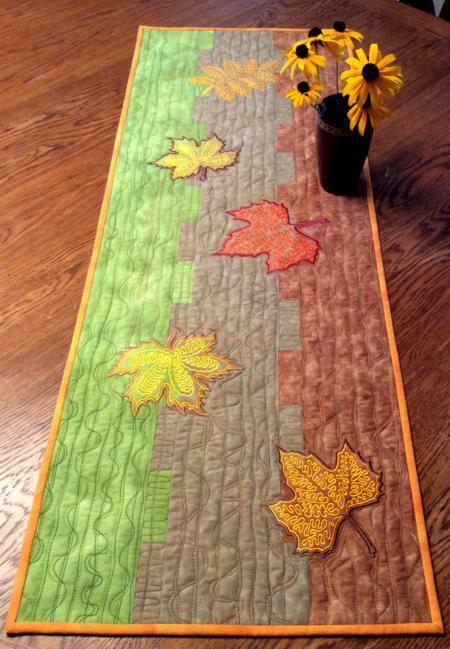 You can find instructions on how to sew this fall-themed tablerunner on the project page.